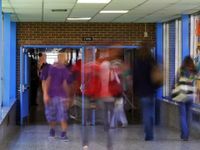 Editor's note: This piece was adapted from Turning High-Poverty Schools into High-Performing Schools by William H. Parrett and Kathleen M. Budge. People in poverty are as diverse as people in any other socioeconomic class. They present, like other groups, a wide array of values, beliefs, dispositions, experiences, backgrounds, and life chances. As educators, in order to be responsive to the needs of our students, it is helpful to consider the constraints that poverty often places on people's lives, particularly children's, and how such conditions influence learning and academic achievement. Poverty affects intervening factors that, in turn, affect outcomes for people (Duncan & Brooks-Gunn, 1997). These factors include students' health and well-being; literacy and language development; access to physical and material resources; and level of mobility. These factors are interrelated, and one factor can compound another. For instance, substandard housing, inadequate medical care, and poor nutrition can affect the rate of childhood disease, premature births, and low birth weights, all of which affect a child's physical and cognitive development. Such factors influence students' ability to benefit from schooling. Living in daily economic hardship can also adversely affect students' mental health (Winters & Cowie, 2009), self-efficacy (Conrath, 1988, 2001), self-image (Ciaccio, 2000a, 2000b), and motivation to do well in school (Beegle, 2006). Children who live in poverty often come to school behind their more affluent peers in terms of literacy and language development. In Educating the Other America, Susan Neuman (2008) states that more than 50 years of research indicate that "children who are poor hear a smaller number of words with more limited syntactic complexity and fewer conversation-eliciting questions, making it difficult for them to quickly acquire new words and to discriminate among words" (p. 5). A significant body of literature also points to differences in access to reading materials by students from low-income families in comparison to their more affluent peers (Allington & McGill-Franzen, 2008). Poverty often places constraints on the family's ability to provide other material resources for their children as well. For example, they may have limited access to high-quality day care, limited access to before- or after-school care, and limited physical space in their homes to create private or quiet environments conducive to study. They may not own a computer or have the fiscal resources necessary to complete out-of-class projects. Poverty often places another kind of constraint on families -- the ability to provide stable housing. Students often move from one location to another because their parents are in search of work or are dealing with other issues that require them to move. Frequent moves almost always have a negative academic and social impact on students. Much is known about the far-reaching influences of poverty on a student's learning. An understanding of these factors provides invaluable knowledge to educators in their efforts to support and teach students who live in poverty. In high-poverty, high-performing schools, this knowledge does not result in lowered expectations for students living in poverty. To the contrary, it leads to empathy and an understanding of the differentiation, scaffolding, and support that students may need to meet high expectations. Like high-poverty, high-performing schools, any school that enrolls students who live in poverty should seek to acquire as much understanding as possible about the life circumstances of their students. Allington, R., & McGill-Franzen, A. (2008). "Got books?" Educational Leadership, 65(7), pp.20-23. Beegle, D. M. (2006). See poverty . . . be the difference! Discover the missing pieces for helping people move out of poverty. Tigard, OR: Communication Across Barriers. Ciaccio, J. (2000a). "Helping kids excel on state-mandated tests." Education Digest, 65(5), p.21. Ciaccio, J. (2000b). "A teacher's chance for immortality." Education Digest, 65(6), pp.44-48. Conrath, J. (1988). 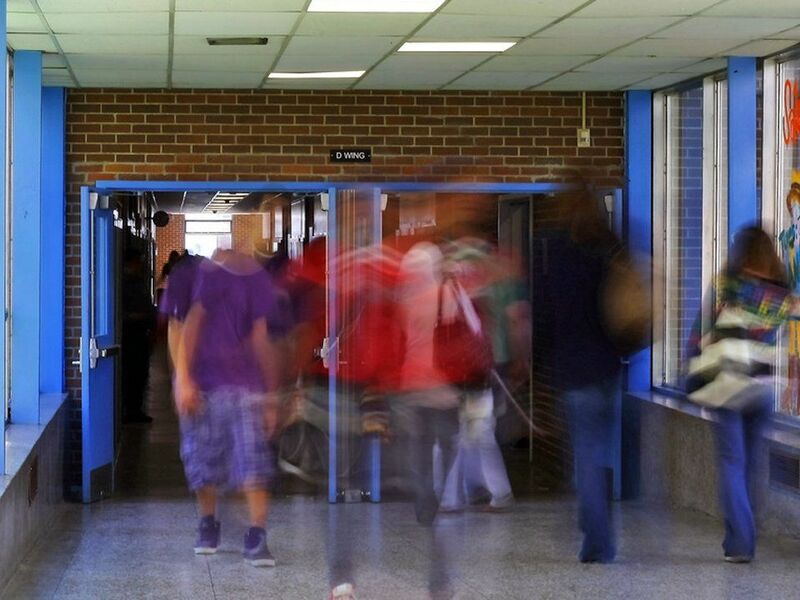 Full-year prevention curriculum: Secondary dropout prevention. Gig Harbor, WA: Author. Conrath, J. (2001). "Changing the odds for young people: Next steps for alternative education." Phi Delta Kappan, 82(8), pp.585-587. Duncan, G.J., & Brooks-Gunn, J. (1997). Consequences of growing up poor. New York: Russell Sage Foundation. Neuman, S. B. (2008). Educating the other America: Top experts tackle poverty, literacy, and achievement in our schools. Baltimore, MD: Paul H. Brookes. Winters, V. E., & Cowie, B. (2009). "Cross-cultural communications: Implications for social work practice and a departure from Payne." Journal of Educational Controversy.